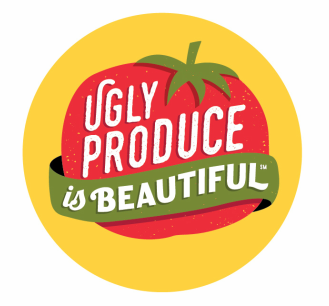 Sarah Phillips - My Story - Ugly Produce is Beautiful! I didn't just fall off the turnip truck, and here I am. I have been obsessed with food my whole life, and have been in the food business for 30 years professionally - half of my life. Besides that, I now realized that the vegetable garden and fruit orchard that my mother had is called "organic" today. She started that back in the 1950's, when I was born, because she loathed pesticides, canned goods, TV dinners, wrapped and wilted vegetables in the grocery stores, and believed that healthy eating was paramount. Besides, my family had lots of sensitivities - not to food, but to preservatives and food colors and she figured out that we were not allergic to the food per se, but to artificial additives, giving us headaches, making us hyper, itchy, and so on. So we had to eat healthy from the beginning with home cooked meals with fresh food primarily from the garden or food that she had canned from it. Today, I still cannot eat processed foods, or anything laden with preservatives, sulfites, and so forth. From the get-go, I was hooked on gardening, cooking, and baking. But didn't realize until halfway through life that women, such as myself, could participate professionally in the food business, even though it was always an intense hobby and passion of mine. Besides, there weren't a lot of food careers open to women and role models when I was growing up, so I didn't even consider it as a career. I would have had I known earlier. But at least I have been doing what I love now! I spent the first seven years of my life in a suburb in Chicago. I loved it when we picked corn, apples, tomatoes and canned our prized pickles and other produce from nearby farms or from our own garden. I remember that my mother won Blue Ribbon Awards at the Illinois State Fair for some of her canned goods. I always helped! The 1950's was the beginning of Madison Ave and the push for eating uniform and processed foods for families in America. I remember! ​I begged my parents to take me to the mid western food factories for fun where I could see food being processed because this was a new concept - I remember the Quaker Oats factory. In kindergarten, in the suburb where we lived, I remember the opening of the first supermarket. I used to go there and look at the shiny cans of food lined up on the shelves and the uniform and plastic wrapped produce - I just stared; everything looked so perfect, so untouchable, so sterile, and so foreign to me. Now I realize that I may have been staring at some of the beginnings of the Ugly Produce Problem - standardized produce size, processed food, the rise in factory farms, the beginnings of industrialized food for the masses and the decline of localized food because now, with canned goods and frozen foods, one could get year round produce. We didn't eat any of it because my mother canned all of her organic vegetables from the garden - besides, she said the stuff in cans was so unflavorful, lacked in vitamins, had chemicals in it, and she wouldn't have any of it for her family. We tasted the food from the grocery store, and didn't like it. We moved to Los Angeles when I was seven in 1960. My obsession with food just exploded there. We had year-round lush gardens, edible flowers, orange, lemon and lime and avocado trees in our yard. My mother had potted herbs - so many varieties. We planted drought-resistant gardens, too, which our green-grass growing neighbors thought was strange. All of this home grown food ended up in our meals - all the time. My mother had an incredible love of food and cooking, and I caught the bug - we travelled to nearby Mexico for mole sauce, nearby Arizona for blue corn meal, Sawtelle Blvd. in LA for sushi, downtown LA for tacos and burritos - always in search of something new. I loved every second of it, and cooked and baked by my mother's side. She was well-known for her creative and lavish dinner parties. I was always eager to help, to decorate the platters, and the tables. We didn't go to restaurants in those days because my mother was a great cook, and there wasn't much of a restaurant scene in LA at the time - especially for families with four kids. Besides, who could afford it and have their kids not sit still? Fast forward, I attended the University of California at Santa Cruz, in 1971, in its early beginnings. They were just starting their now famous organic farm, and I was eager to participate. They also had just started a restaurant using produce from its gardens. I tutored poor children from migrant families in the nearby artichoke fields - what a sad story that is. My older brother and sister attended the University of California, Berkeley at the time, so I went to the nearby San Francisco Bay Area to visit them, where Alice Water's Chez Panisse had just opened (1971). We frequented her then small cafe for its farm fresh organic food just because it tasted great, and reminded us of our mother's home cooking. I remember meeting her there - she was cooking and manning the restuarant. I still have some the signed old food posters from there that her then boyfriend, artist David Lance Goines, made. I met him as well. Alice Medrich had a chocolate shop across the street, and we used to buy chocolate from her. My older brother and sister are also food hounds, though not quite as intensely as I am. ​This was the beginning of the food revolution in America, although I didn't know it at the time. I was there. I participated in it. I loved it because the food reminded me of my upbringing. I moved to San Francisco in 1976, right in the middle of the beginnings of the food movement there. Williams-Sonoma small cookware shop was there and I scraped every penny to buy their goods - one precious piece at a time, and still have much of it today. I was influenced by watching Julia Child on TV, where she had all of this neat kitchen equipment from Europe. I bought a second hand copy of Julia Child's Mastering the Art of French Cooking, at age 21, and decided to cook my way through it with my new equipment. I found the new farm-to-market and handmade gourmet food markets for the fresh ingredients. That was the beginnings of small handcrafted food stuffs being sold in the Bay Area - new specialty butchers and produce markets - after all, Napa Valley, where they grow all of this beautiful stuff, was just forty-five minutes away, where I sometimes took the bus to shop. Fast forward to my move to the New York City suburbs in 1983, as my then husband was working in advertising. Food has always been big business here. Family markets, family restaurants, homemade food, flavors and taste - deeply ingrained in the entire culture - same as San Francisco, but in a much more ethnic way. I started to take classes at the Culinary Institute of America for fun, and one of the Chef Instructors told me, unsolicited, that I had enough natural cooking skills and passion for food, that I should be in the food business. A light bulb went off in my head! It made sense to me! WOW! I had never thought of being in food as career! No woman I knew was in the food business or a chef. I had met Frieda Caplan at Frieda's Produce in Los Angeles, where I grew up in the 1960's and 70's. I watched Julia Child on TV all the time, knew about Alice Waters at Chez Panisse, and a VERY few others, but that was about it for professional women-in-food role models for me at the time. I asked him, the Chef instructor - "How?" He said I could waitress or work in a kitchen, or go to school, and start at the beginning. Women chefs were kind of unheard of at that time (still are! ), and it would require me to go back to school, and then hack my way up the ladder. Besides I had two young children at home and was divorced at the time, and I had a good paying job in sales. This was something that was not in the cards for me or realistic for my lifestyle. So I had to think of something else. But the Chef's suggestion propelled me to think and made me really want to start a career in the food business. I didn't know where to start or have any knowledge about a culinary job or who to ask. At the Culinary Institute of America or in the newspaper, the only jobs I could find at other establishments were either to be dishwasher or server. I decided to use my skills and knew that I had to find my own path - I started baking cookies out of my kitchen and selling them to Grace's Marketplace and Bloomingdale's in New York City, plus other retail outlets, under the brand name of Simply Sarah's. I obtained a State of New York Food Safety Kitchen license to operate and liability insurance. I was legit. ​My career in food just grew from there! I knew that this is where I belonged! I always thought that all produce included beautiful and Ugly Produce, because I saw it firsthand from the garden, and didn't know that there was a distinction between the two. I saw all different shapes, colors, and sizes, and we ate it all. ​It's because we used to buy directly from the organic farmers in Southern California and pick organic produce from our own garden. It was just because my mother didn't like the taste and look of the produce selections in the grocery stores, and she was wary of pesticides used to grow the. Besides, produce was being freshly grown all around us, and we had it growing in our backyard and on our trees. When our family dog died after a eating dead bird that fell in our backyard, a bird died from eating fruit from our tree that had been mistakenly sprayed with chemicals by the landlord, she was even more adamant about our eating organic foods - this was in the early 1960s. (She had the bird tested for pesticides to prove what killed it. And the vet said that our dog was poisoned from a chemical.) In Santa Cruz, where I went to college, produce was just being sold off of trucks and from the organic garden at the University. In San Francisco, where I lived afterwards, I bought produce from farmers selling produce from the Napa Valley area on street corners. It was not until I moved to New York in 1983, did I become lack-of-fresh produce shocked! The produce in the grocery stores was hideous to me, and flavorless. I was really unhappy about that. I used to drive into New York City from the where I lived in Westchester County just to do grocery shopping at Fairway or Stew Leonard's in nearby Connecticut, just to get something resembling fresh produce. When Whole Foods opened up in White Plains, I was thrilled. When Blue Hill at Stone Barns opened, I was ecstatic. We used to go apple and blueberry picking in the Hudson Valley when the season permitted, but that was about it. There was one guy who operated a farmers market in my small town, and I swear I was there everyday - but he had limited selections and inventory! But he did sell Ugly Produce, and it sold because that was what fresh produce looked like, and everyone who shopped there knew it and accepted it. Now that I live in New York City, I am thrilled with the Union Square Farmer's Market. I go there all the time. I see produce - I guess Ugly Produce mixed in with other produce. Whenever I travel to other cities and countries, I visit their local Farmers Market because everything is so beautiful. I just love to see, touch, feel, cook, and eat fresh produce. I was brought up on it! I thought the opposite - that the imperfect farmers market organic produce was beautiful, and that the perfect, uniform produce from grocery stores, not labelled organic, was ugly. 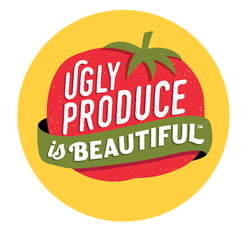 I started hearing stories about Ugly Produce and reading about it, and became alarmed, and ashamed about our Food Waste Problem. I have now focused my energy on this issue. I know that I have something to contribute and can help!